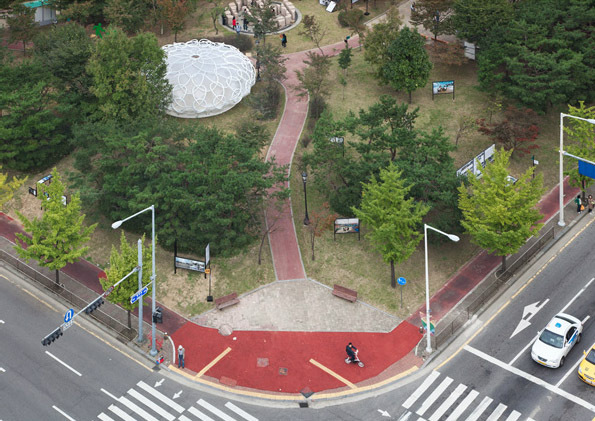 FORMAKERS magazine is born to rethink strategies for investigating urban design from macro to micro scales. It has been conceived to reinvent, reimagine, review and rebuild the current city through new visions of contemporary architecture and through the work and imagination of a new generation of professionals specialized in creative research through design. 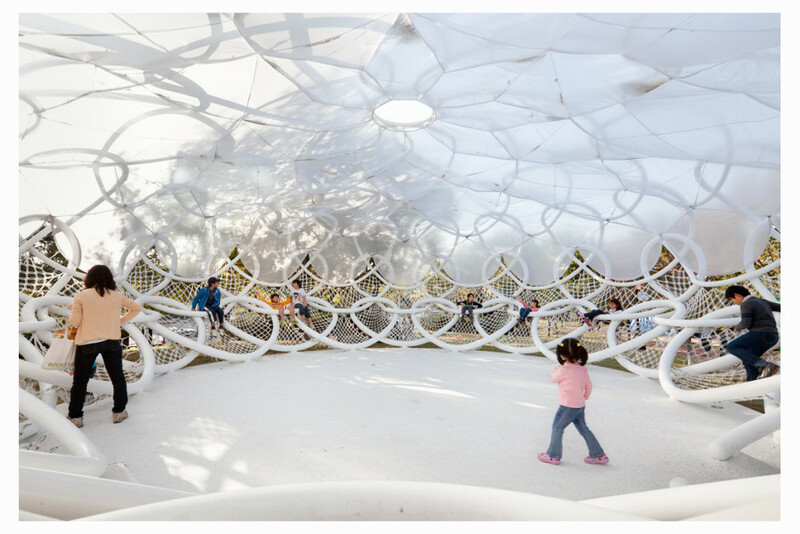 FORMAKERS invites architects, designers, artists, students, scientists and individuals of all backgrounds to explore, research and investigate new design paradigms and urban visions. 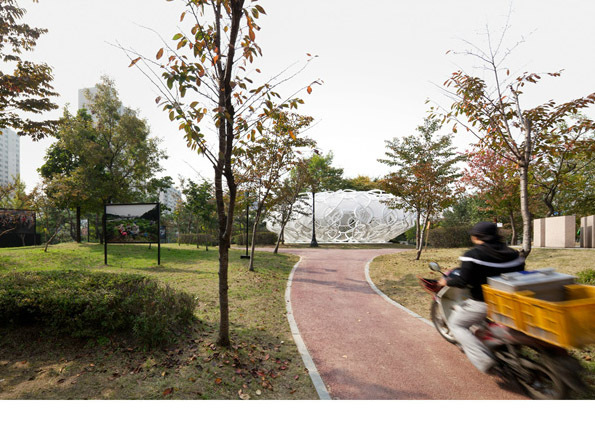 The Open Pavilion was constructed in Hakwoon Park along with LOT/EK's Open School and Raumlabor's Open House as part of the 2010 Anyang Public Art Project, run by Artistic Director Kyong Park. 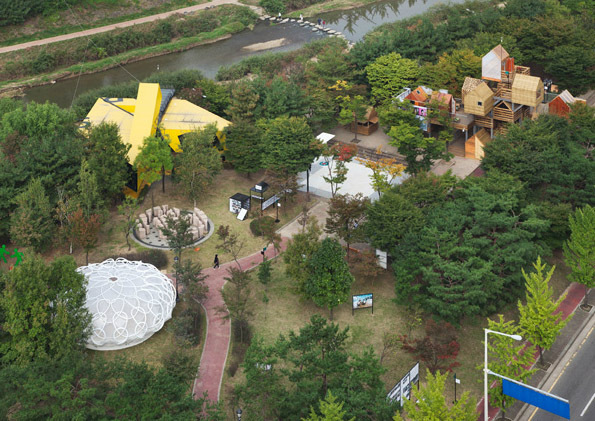 The three significantly different structures form a small campus within the city's park, promoting and supporting various community activities. Nestled within the park, the Open Pavilion is a resting place as well as a gathering place—a new kind of pavilion, or "jung-ja" (정자: 亭子) for the community. 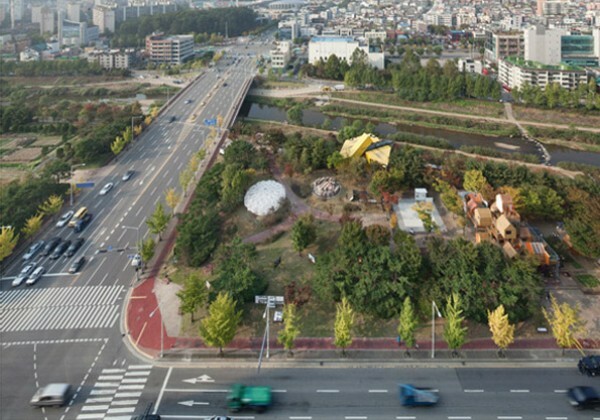 Traditionally, a jung-ja overlooks a beautiful natural landscape, but the Hakwoon Park site, where the Open Pavilion is located, is surrounded by forests adjacent to several apartment complexes. Whereas traditional pavilions are extroverted, this pavilion is introverted. It brings people together in a miniature stadium-like setting, where 70 seatings, stacked in four levels, radiate from a central focal point. 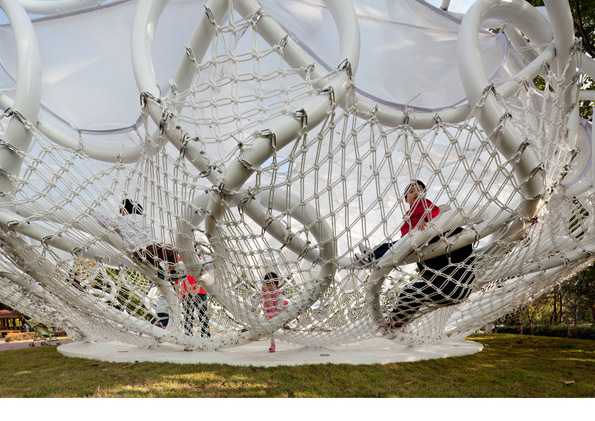 Though it is open to the public, the structure performs as a 'Public Living Room,' encouraging intimate social interactions. 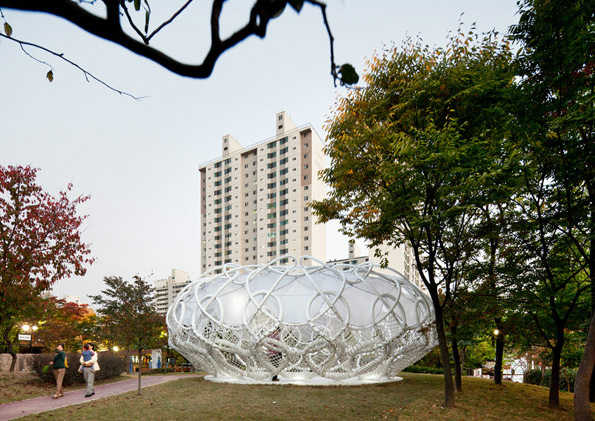 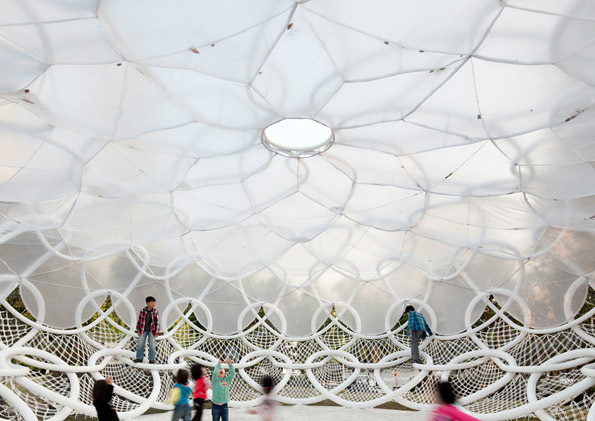 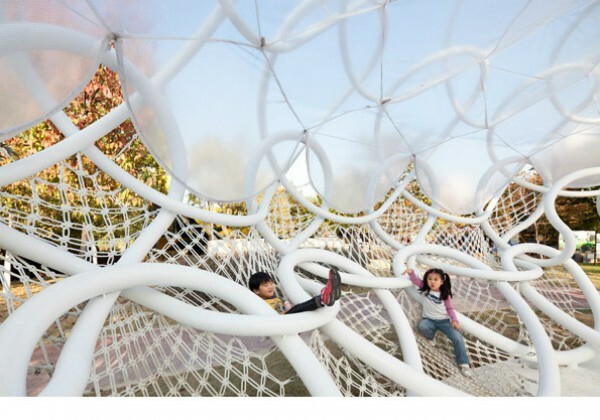 The lower seating portion and the upper roof portion of the pavilion are integrated into a single structural system, which takes the form of an oversized chain net. 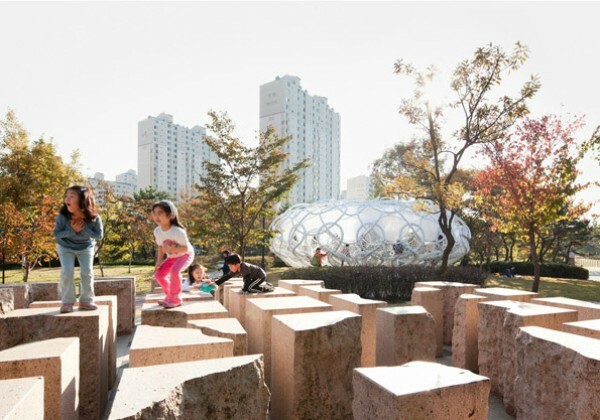 Created through the repetition of steel tube arcs of various shapes and sizes, the flattened sphere-like structure is firm and stable. 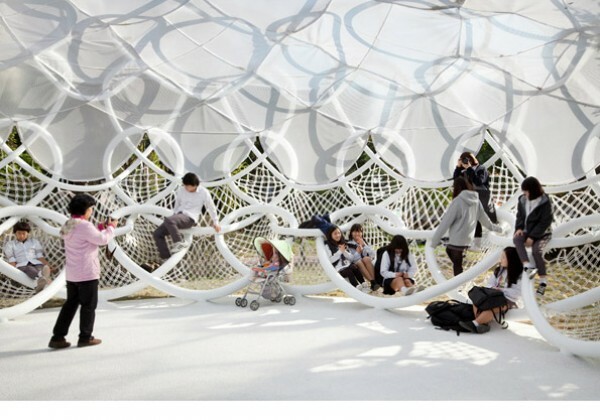 The seating area in the lower half may be conceived of as a reconfiguration of bent steel tube chairs in collective form, whose interlocking acts as links in a chain. Between these links, hammocks are installed to accommodate seating. The upper half of the structure is designed to support a suspended translucent membrane roof to keep out the sun and rain. 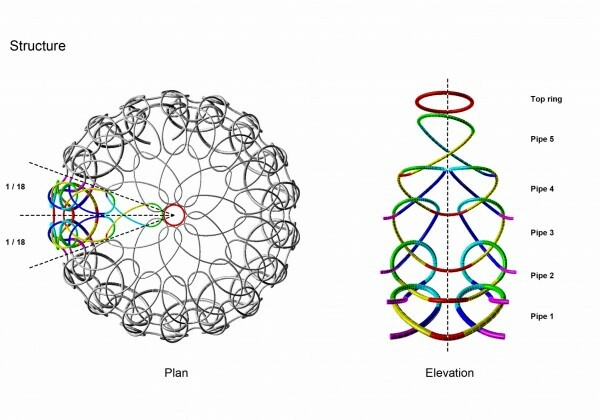 In plan, 18 sets of steel pipes are braided in concentric formation to form a chain link, while the cross section shows five levels stacked on top of each other to create a flattened sphere. 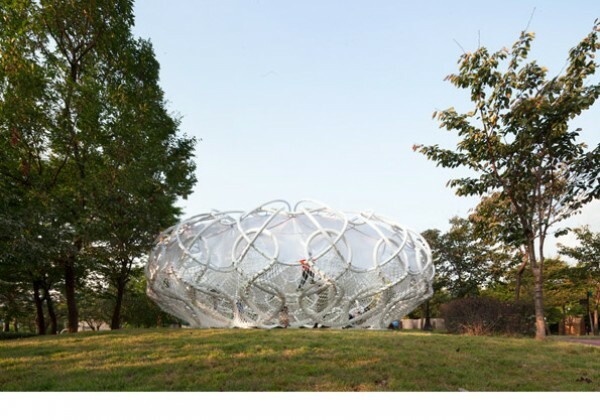 Every part of the structure is in the form of an arc produced by bending steel pipes (60—140 mm in diameter) using high frequency induction heating and welding them together on-site. 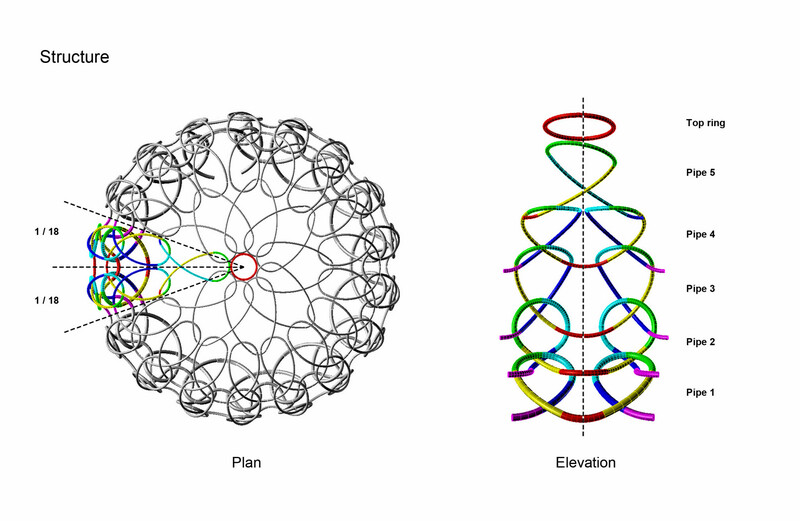 There are 421 arcs, ranging from 35 cm to 3 m in radius. Their total length reaches 592 m.
The height of the structure is 4. 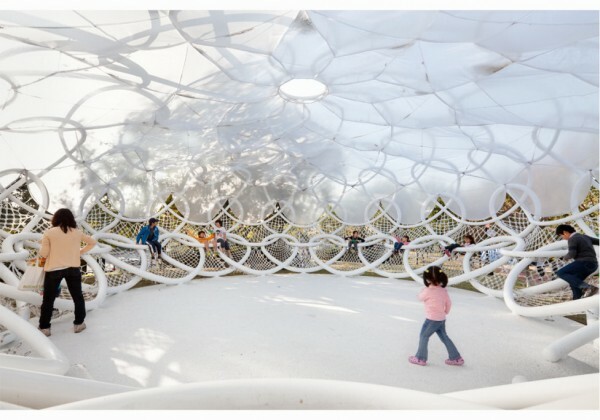 5 m; the maximum diameter is 11.5 m; and the diameter of the floor surface is 7 m.
Visitors enter through a distorted portion of link, which has been stretched and held up to form an entranceway. On the outsides of the steel pipes, steel rings are welded 20 cm apart where the hammocks can be attached and detached easily when replacement becomes necessary. 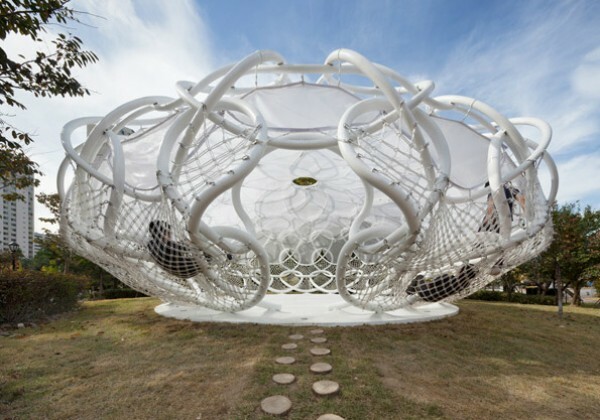 All 70 hammocks were created using a traditional knotting method. 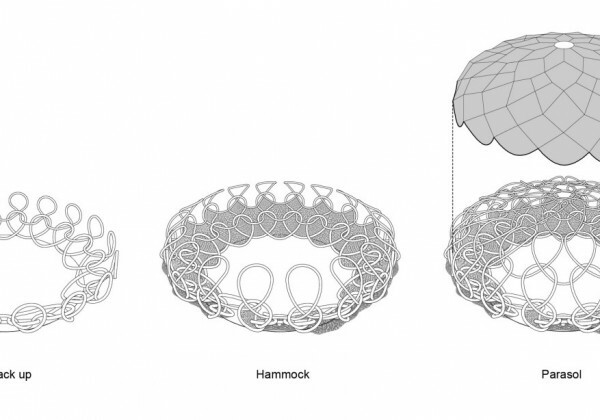 They come in 10 different shapes with some variations. 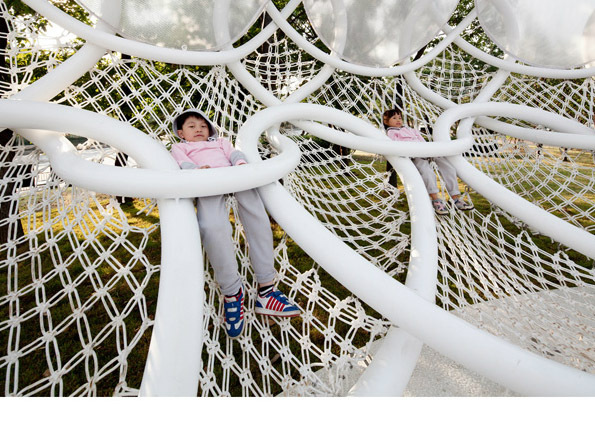 A total of 8 km of rope was used to make the braided knots, which, with the help of 12 students, took two weeks to complete. 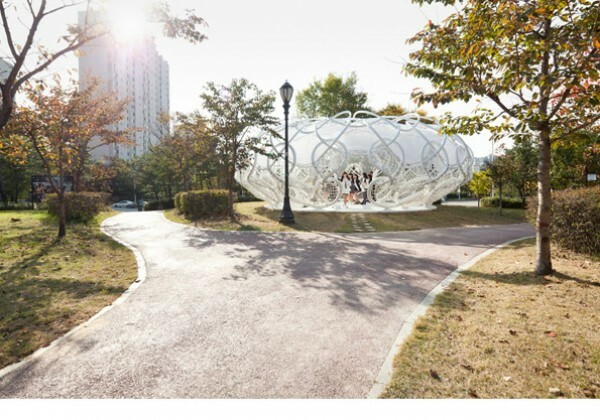 The large parasol on the upper half of the structure is made of PVC tarpaulin and is fixed to the steel frame by a wire. The parasol was created by draping tarpaulin panels in the form of a geodesic dome..